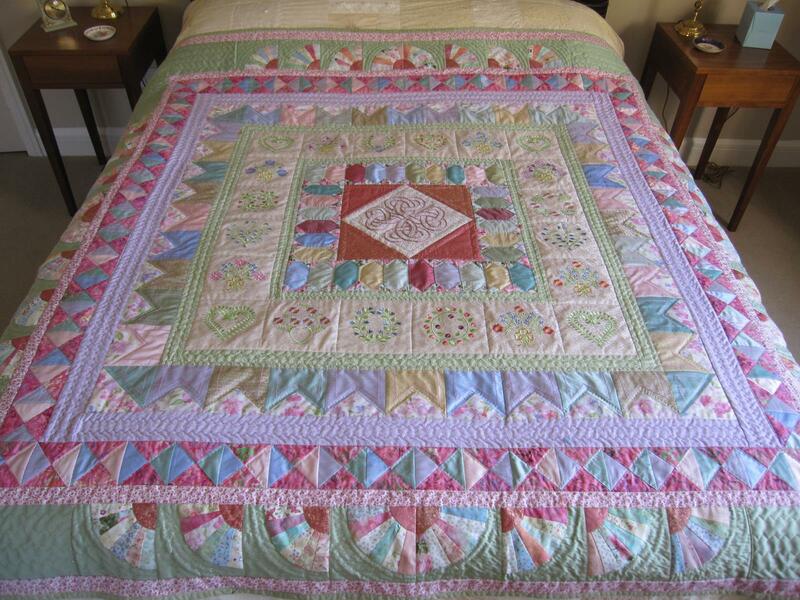 I am thrilled to bring you a photo of the beautiful finished version of ‘Maria’s Quilt’ sewn by Pauline Leadley. I love the Quilt and will start mine very Soon. The book was talked about at the Quilters Guild event last weekend I am there will be lots of new readers. This quilt is absolutely GORGEOUS. I just finished reading this beautiful book. It will be reviewed on my blog on May 30. Thank you for all your lovely comments and for reviewing The Forgotten Seamstress on your blog – I shall look forward to it! Great work! The book and the quilt! What is the finished size of this quilt? for what size bed? Thank you for you lovely comment, Marylee. I have not made the quilt myself but think it is probably small double bed sized. Of course you can adapt it to whatever size you want. do send photos when it is finished.